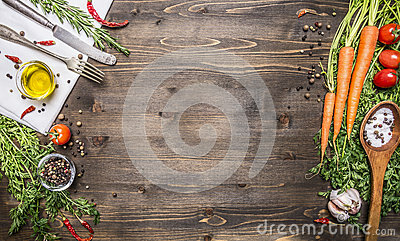 Cooking fresh spring salad of green and red vegetables, spices on white wooden background, border, top view. Berry Ribbed Red Raspberries. Summer fruits.